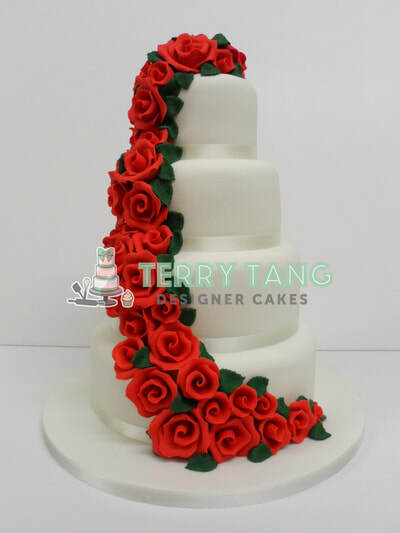 three months in advance to allow the cake to mature. 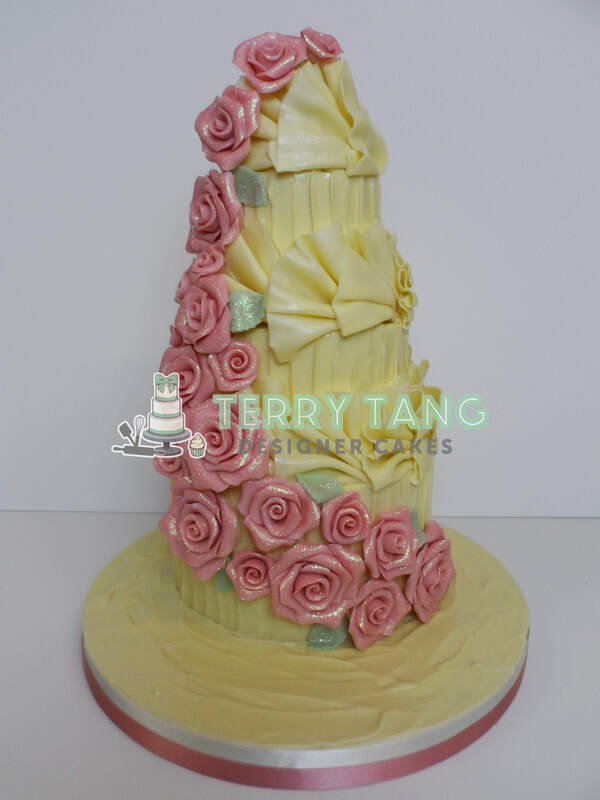 in Regalice for a beautiful smooth finish. 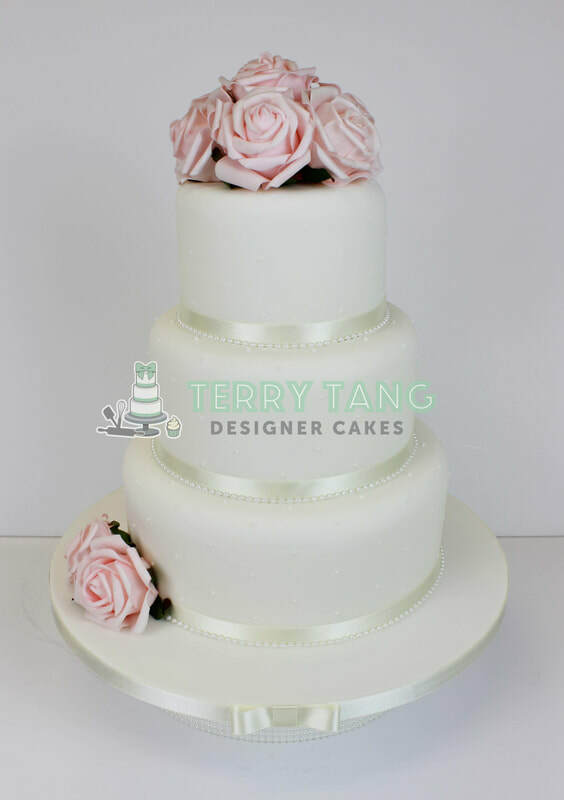 Here is a small range of our Wedding cakes to inspire you, call into the shop to view our full range. 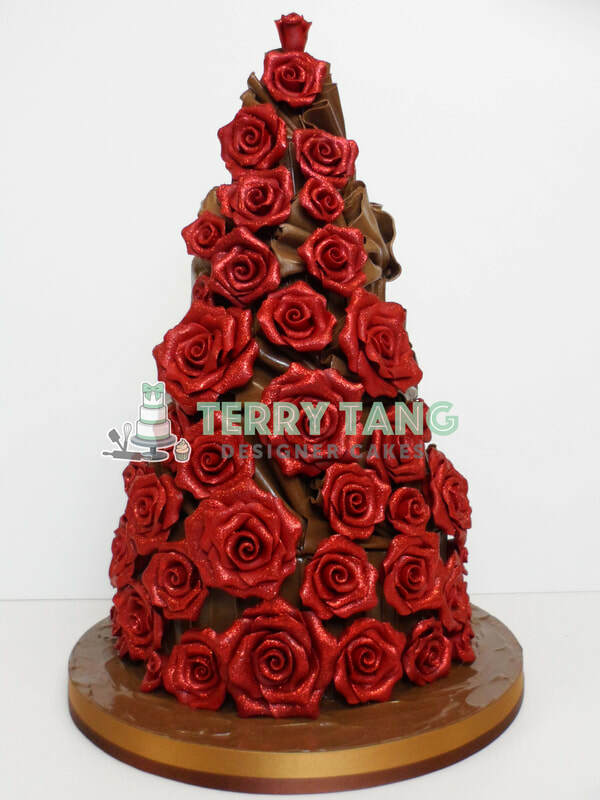 Terry has been working with chocolate for many years and has a wide range of skills using chocolate. 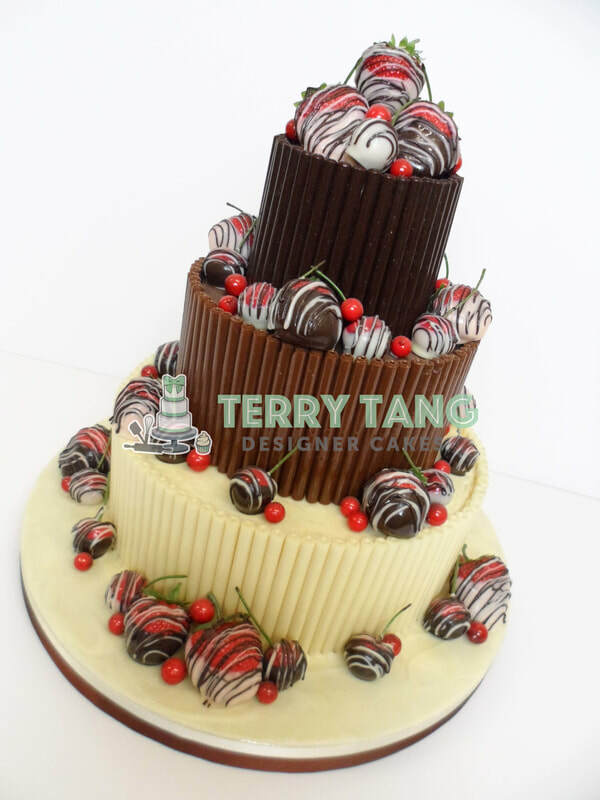 He has also won many awards for his chocolate work, including "Celebration Cake Maker of the Year" and "Best in Show" at Cake International 2012 where his chocolate masterpiece was chosen as the overall best out of the 250 other UK and international competitors. 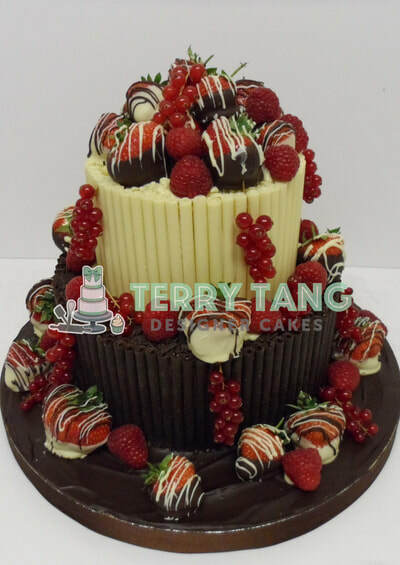 Some people think that if you are on a smaller budget that you have to settle for supermarket bought cakes, this isn't true! 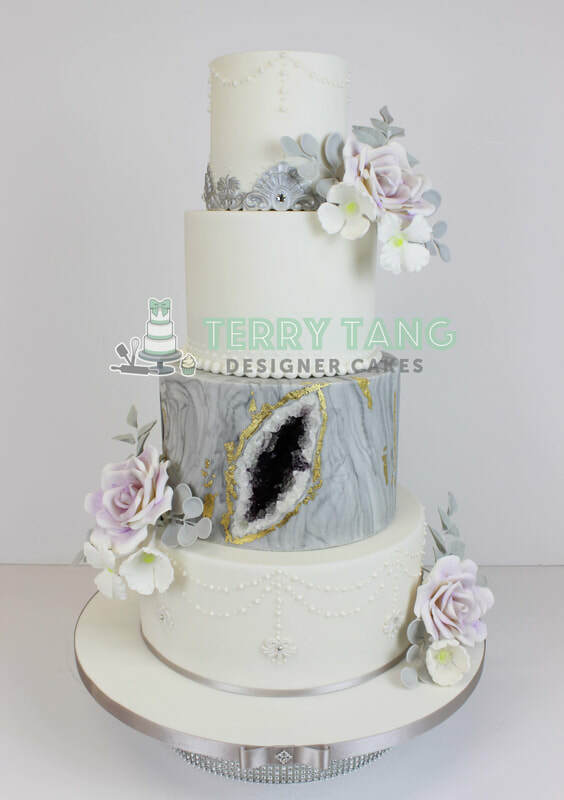 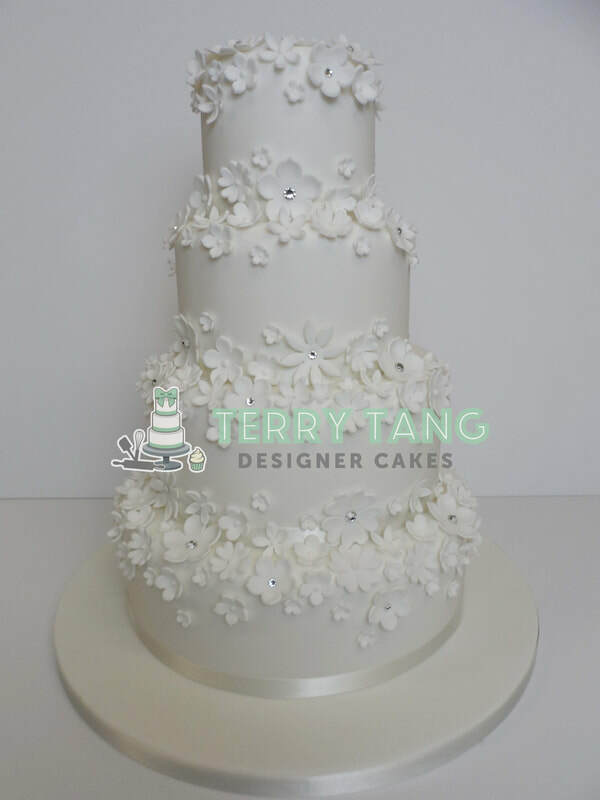 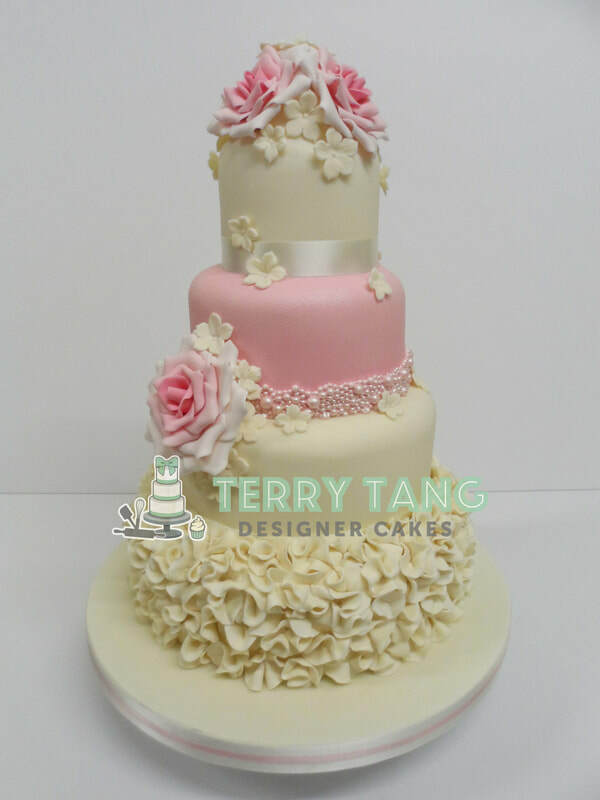 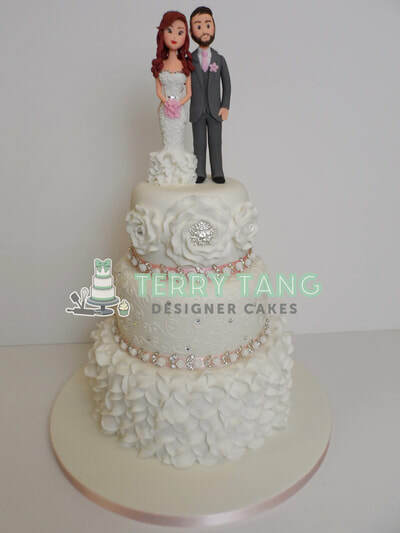 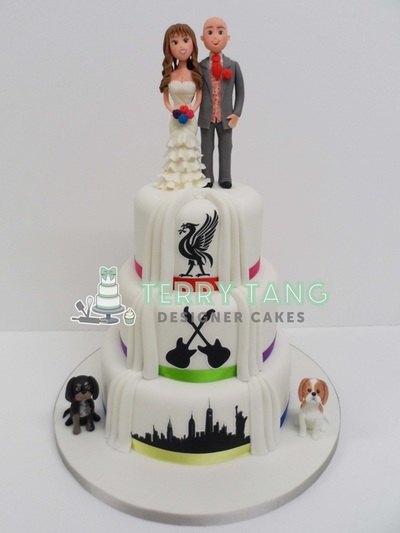 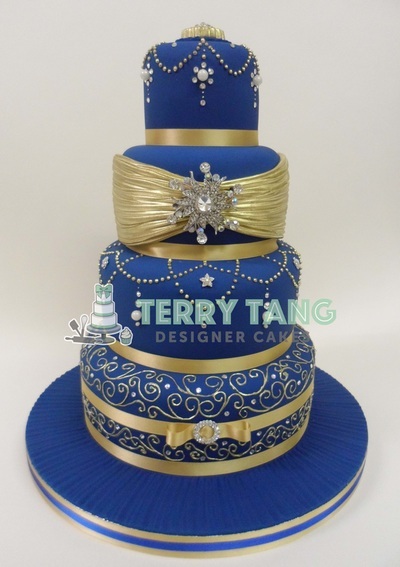 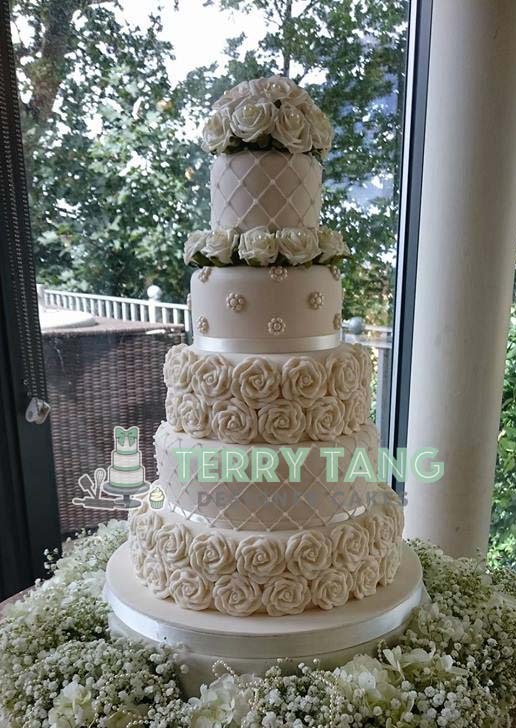 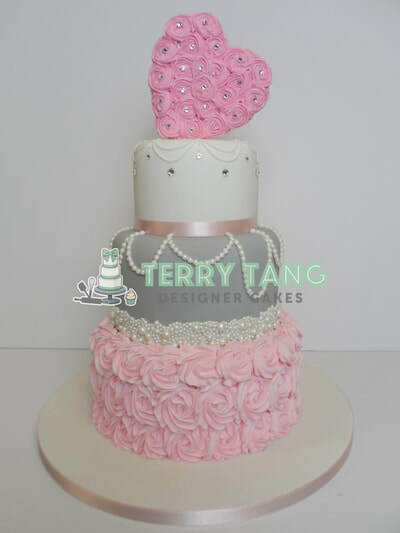 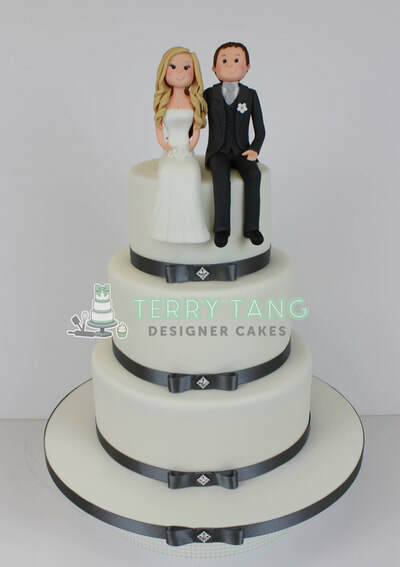 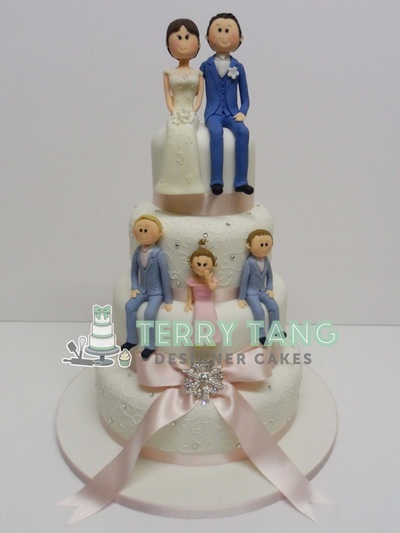 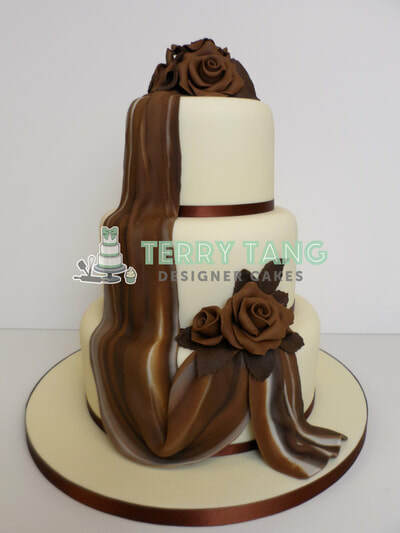 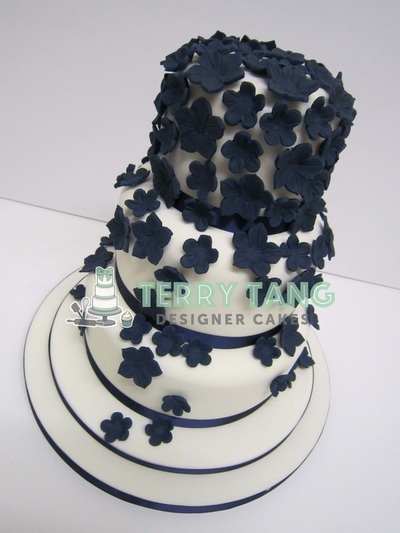 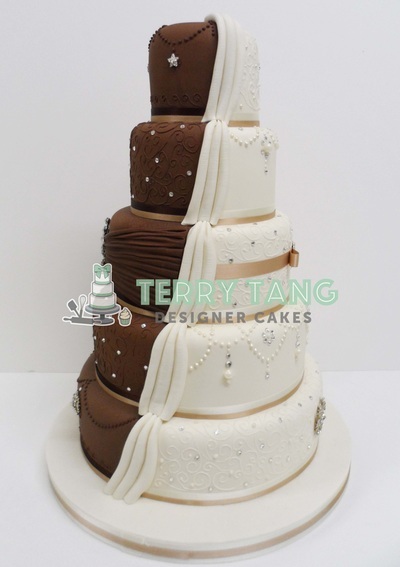 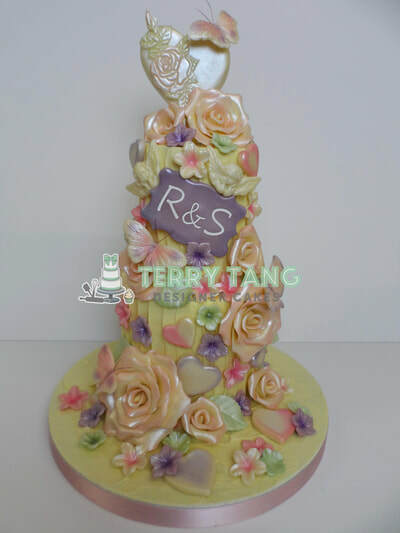 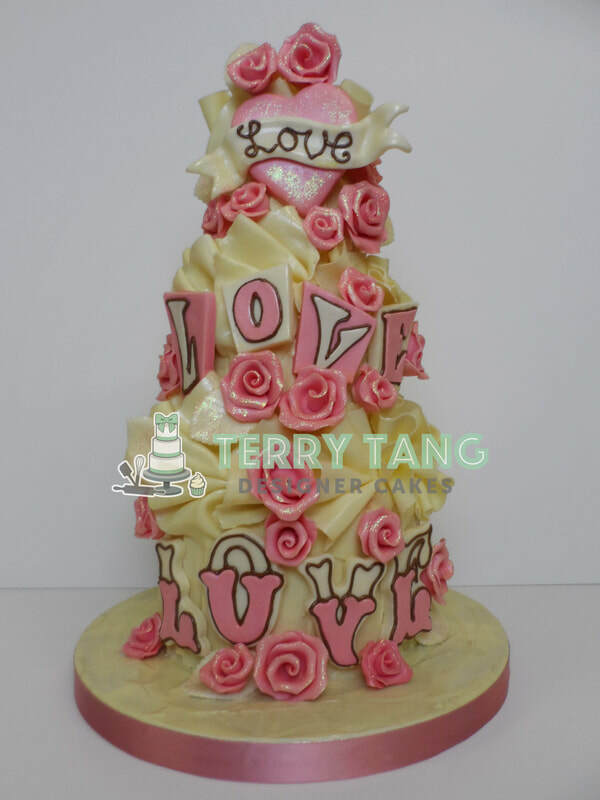 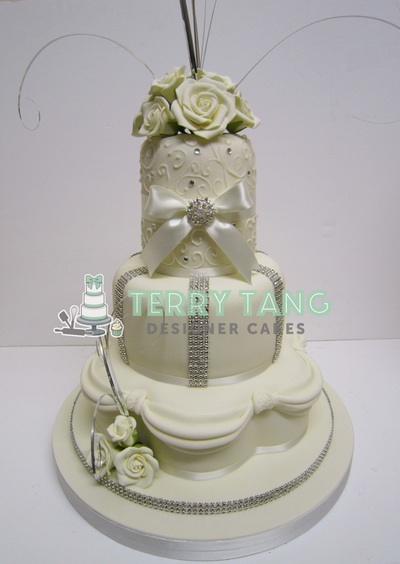 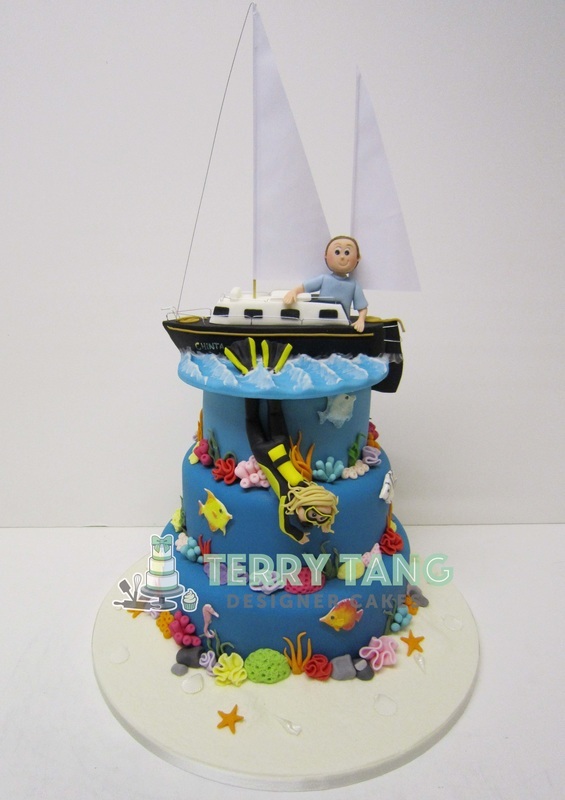 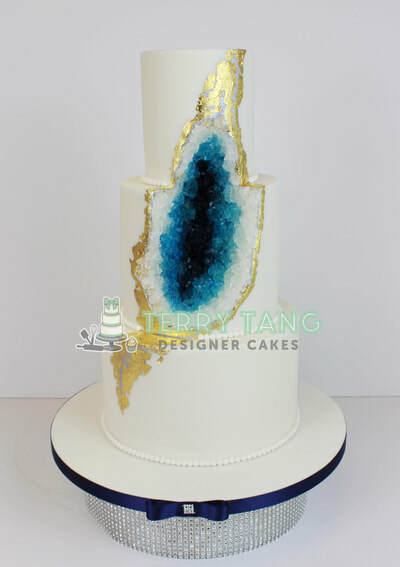 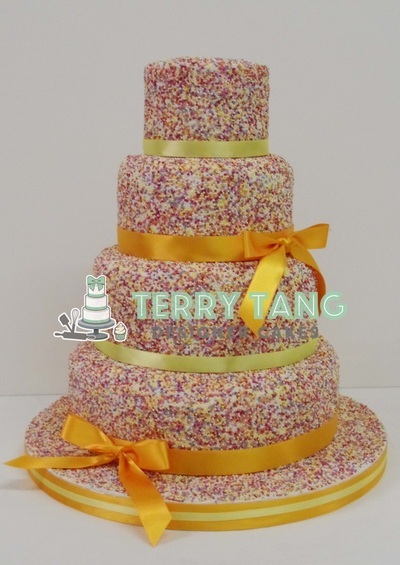 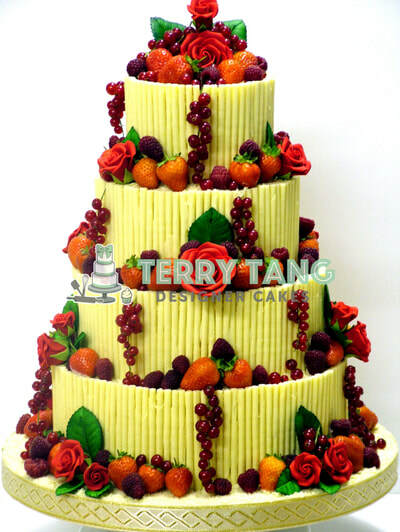 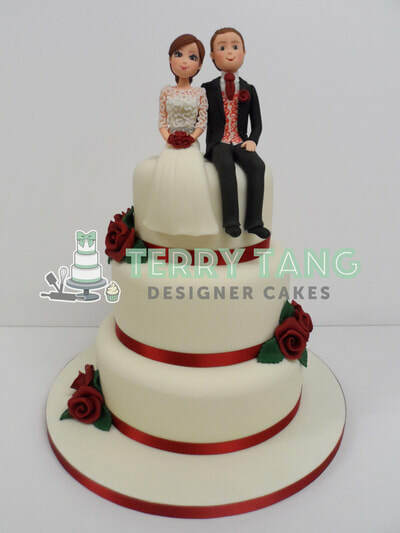 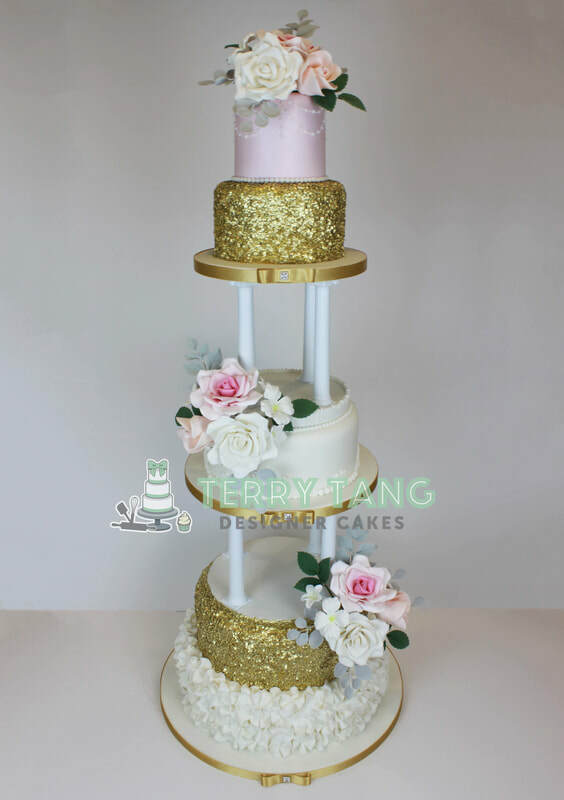 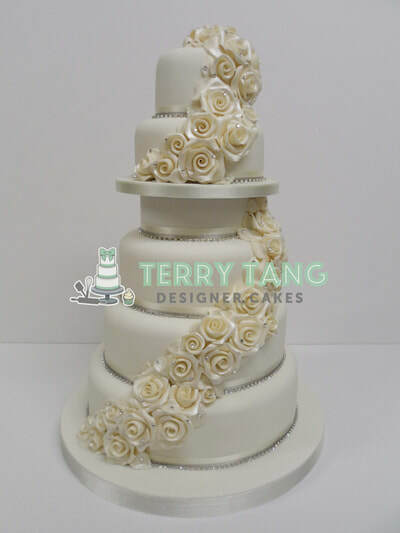 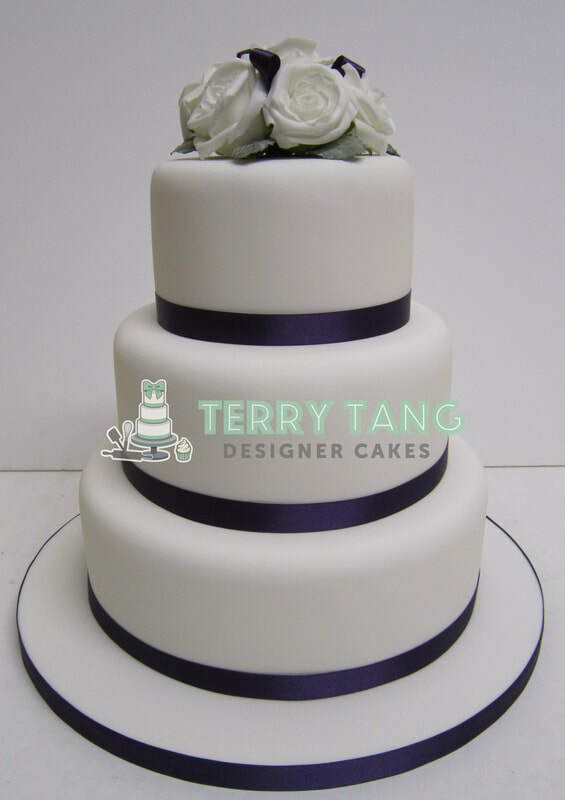 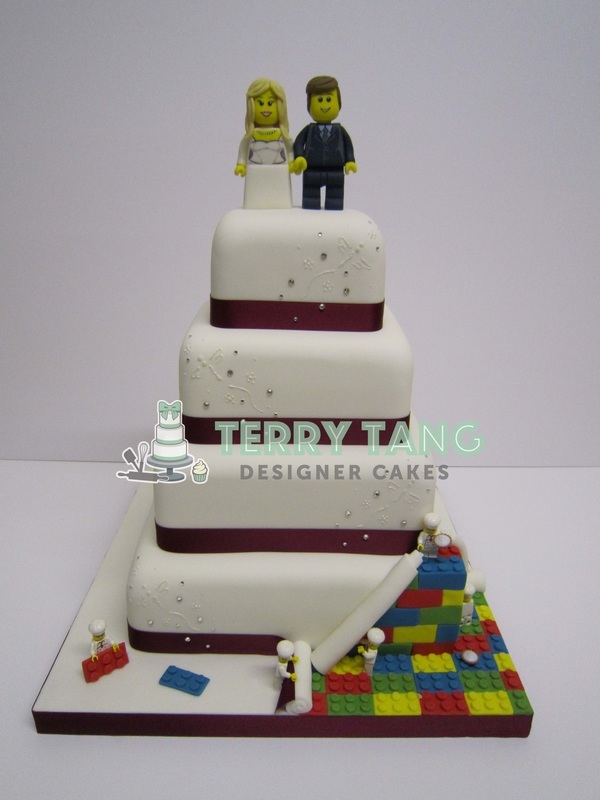 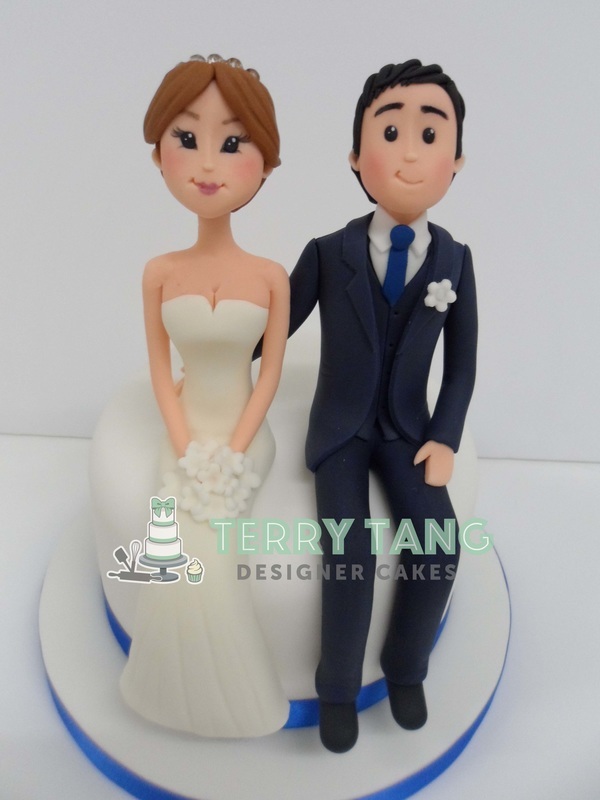 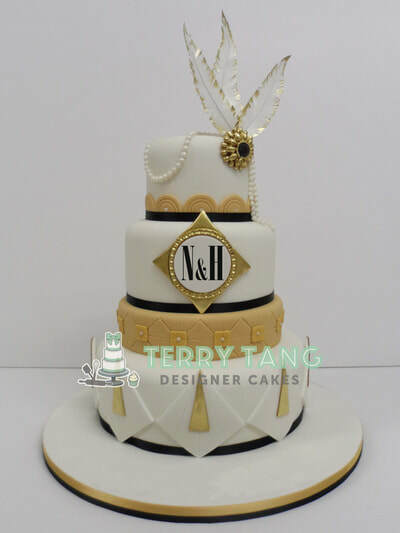 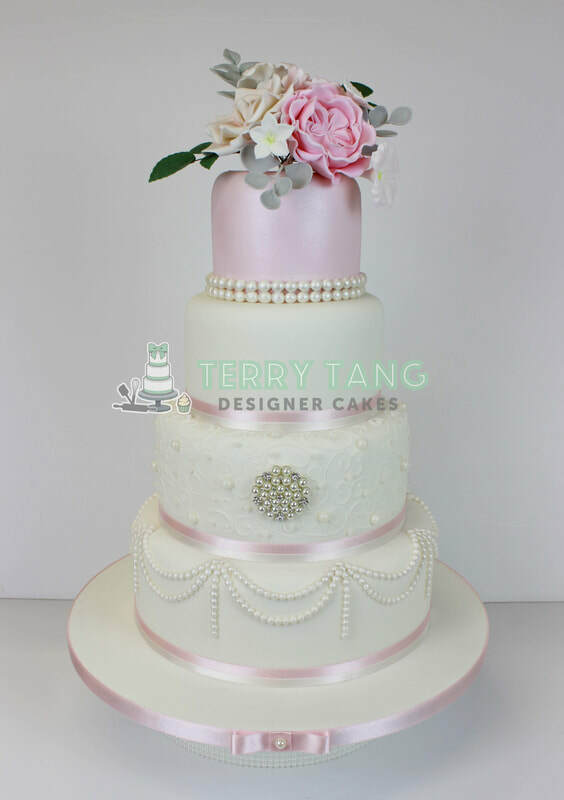 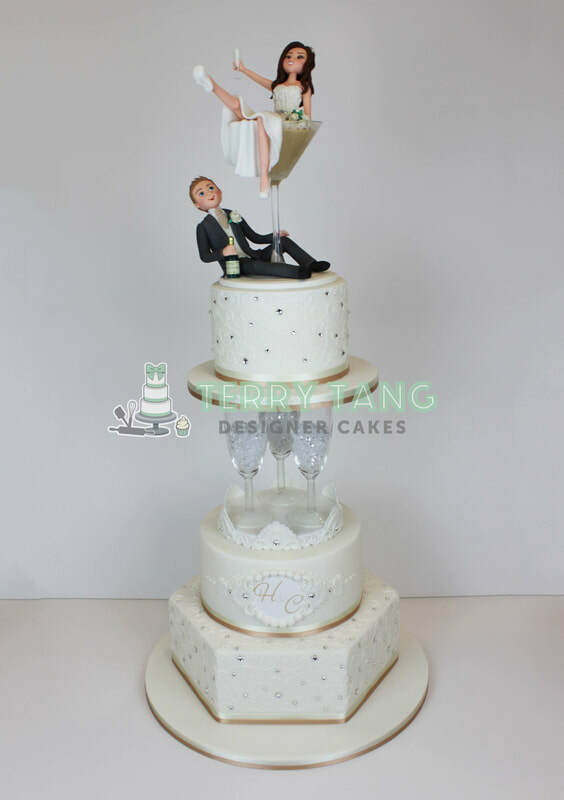 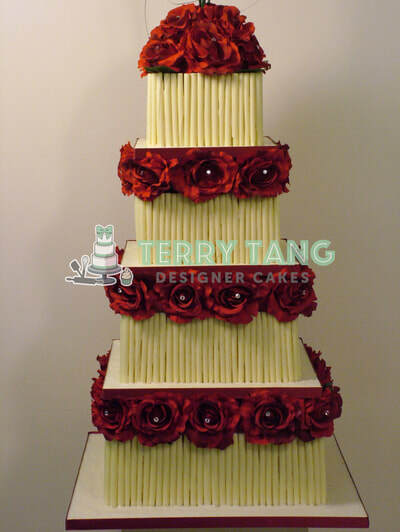 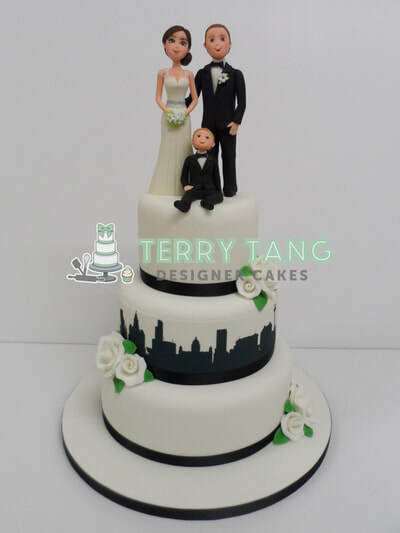 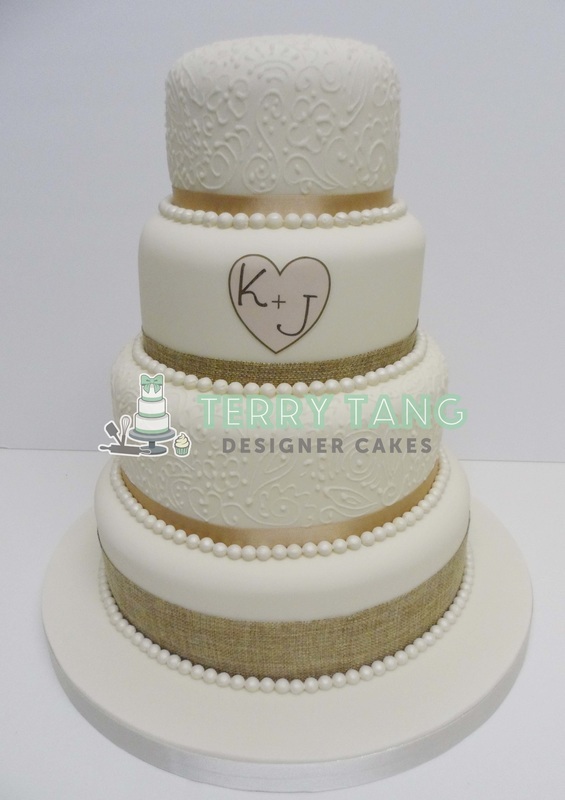 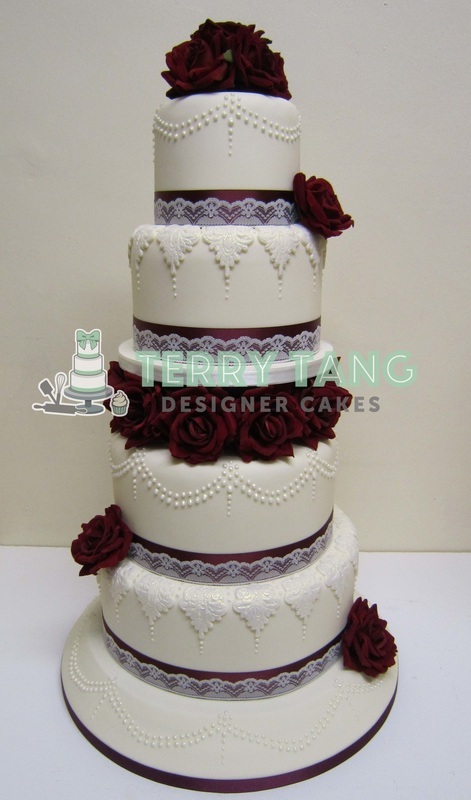 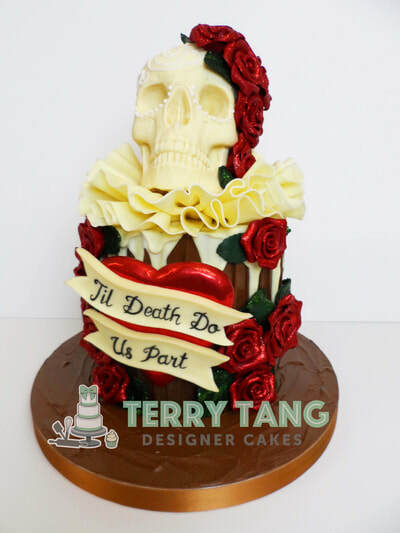 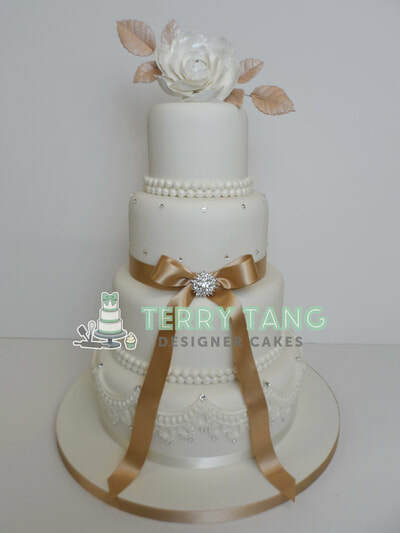 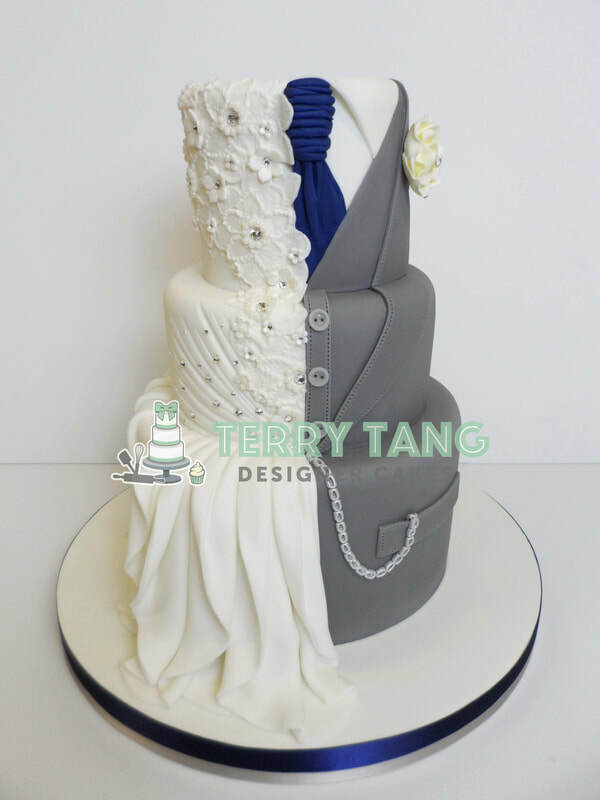 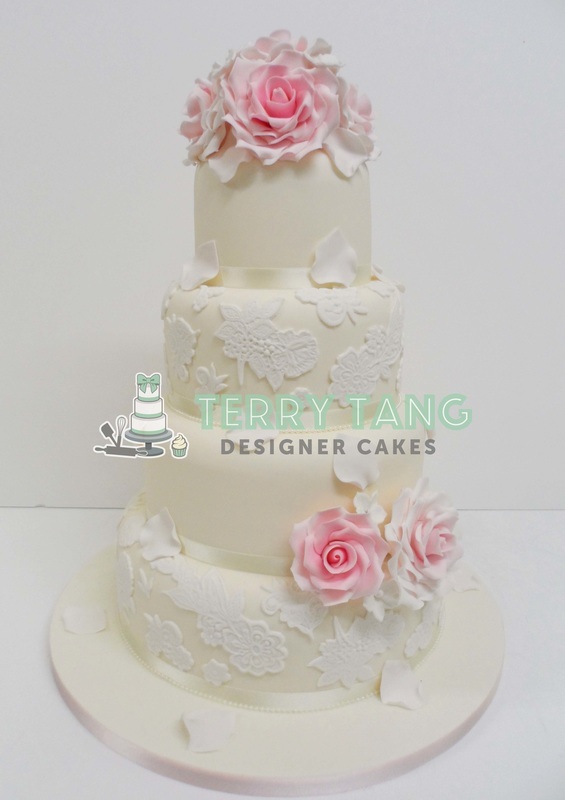 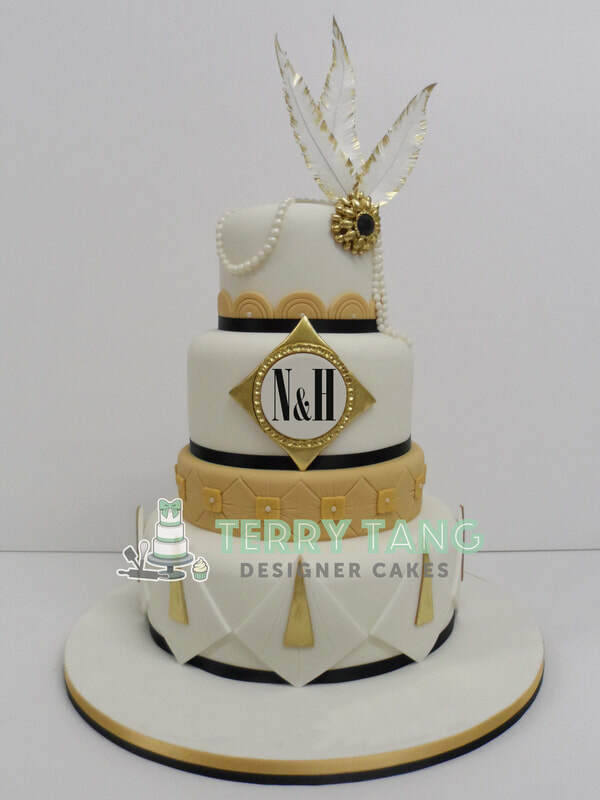 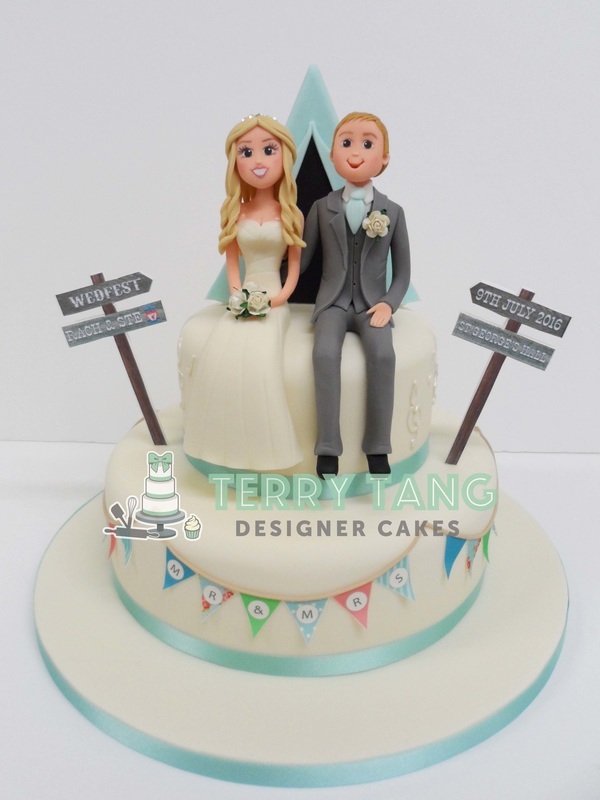 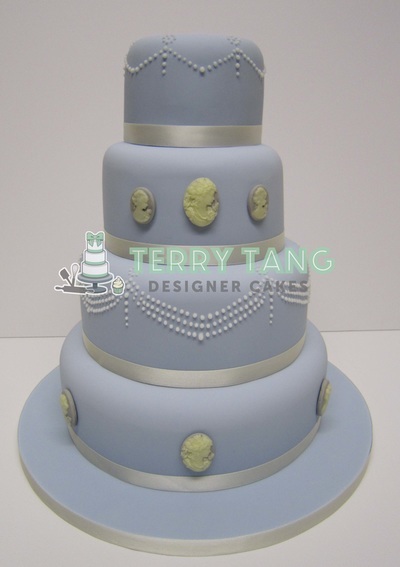 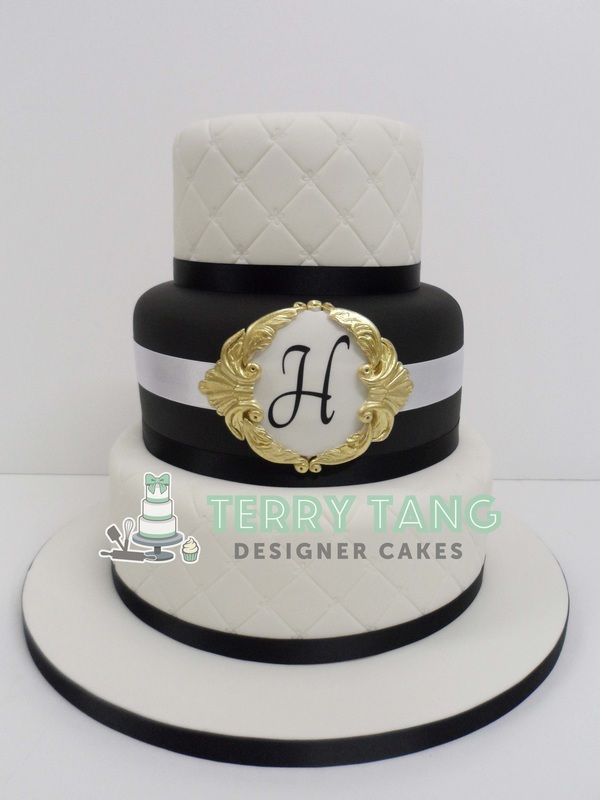 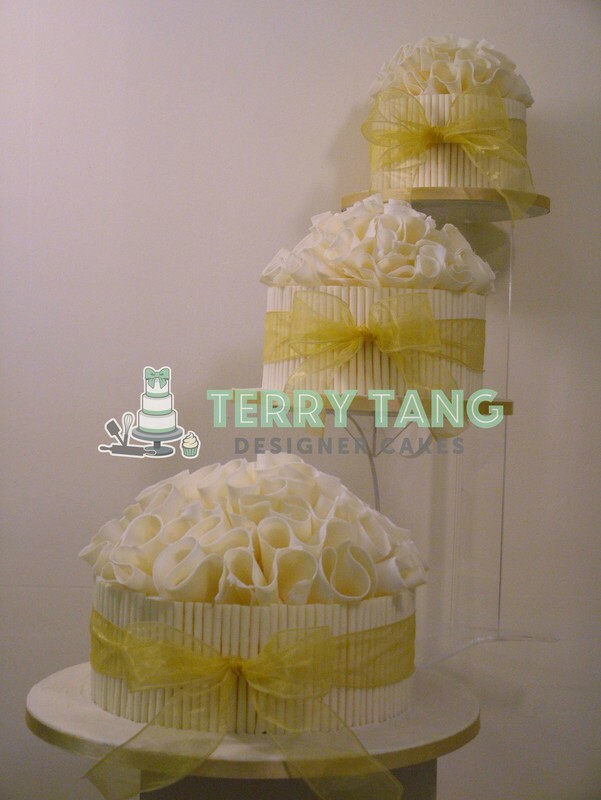 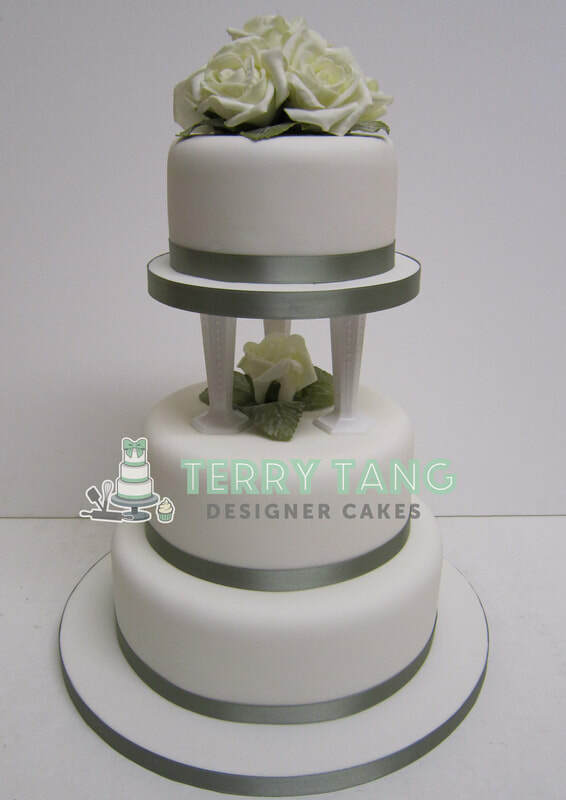 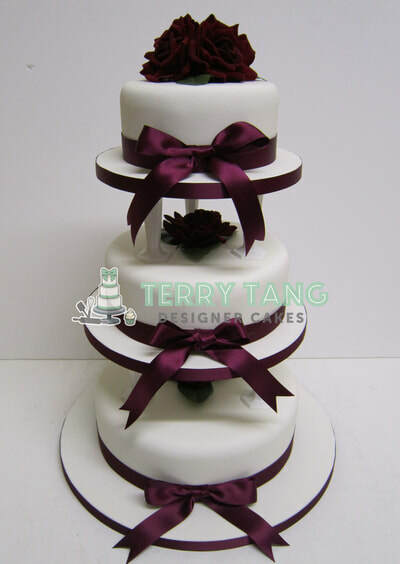 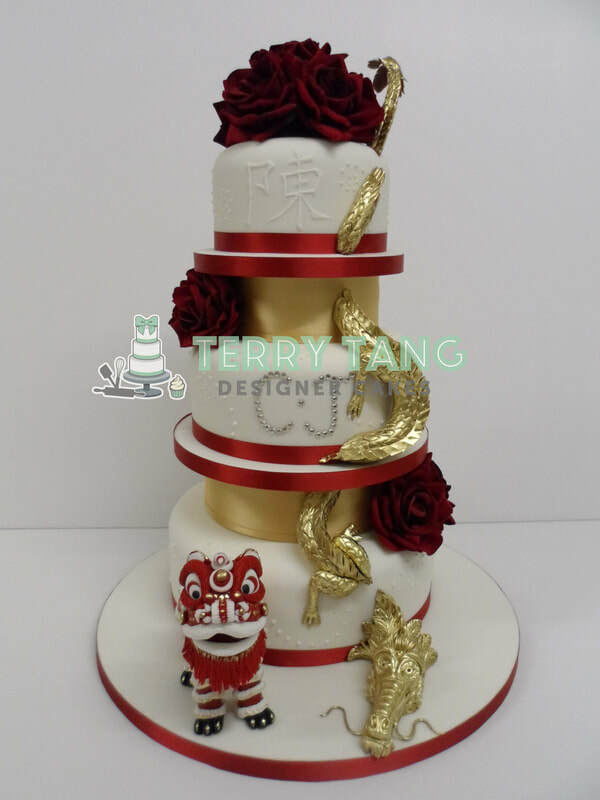 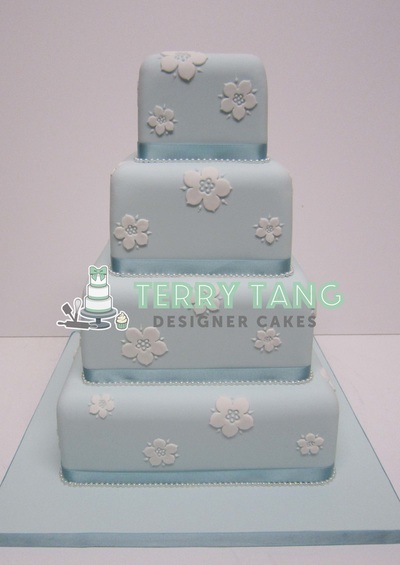 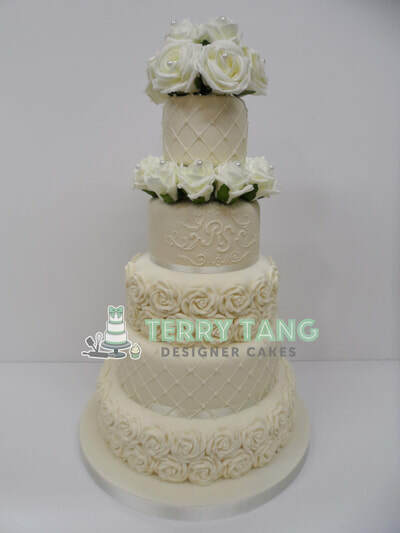 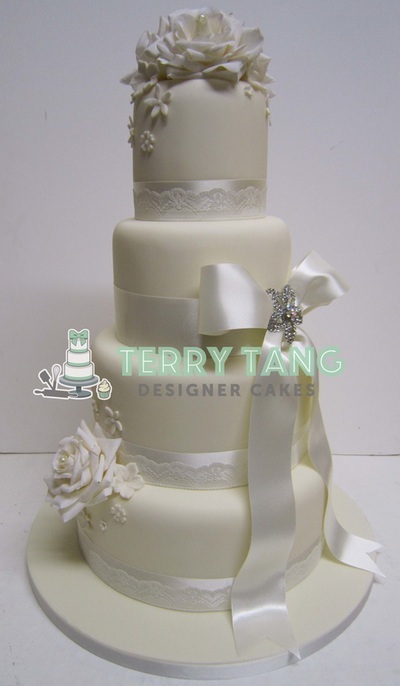 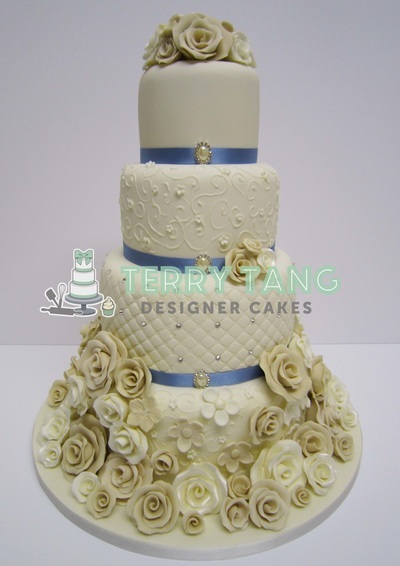 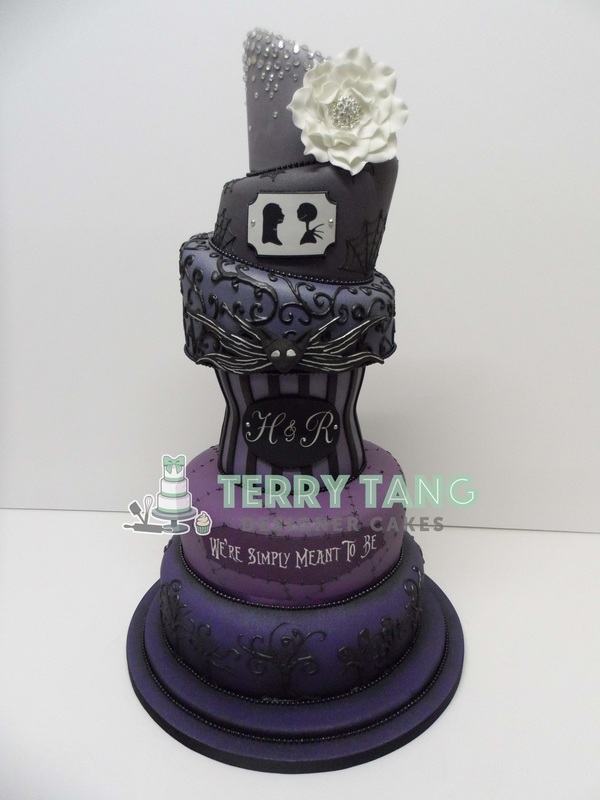 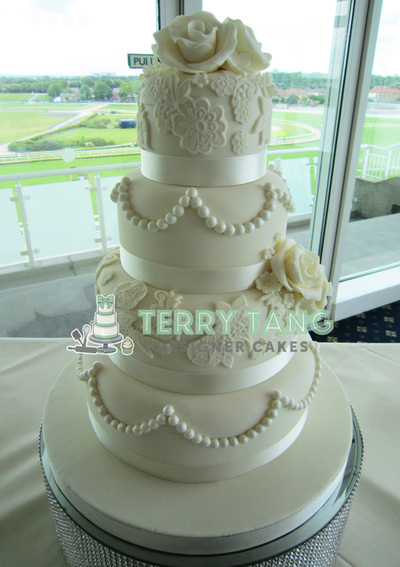 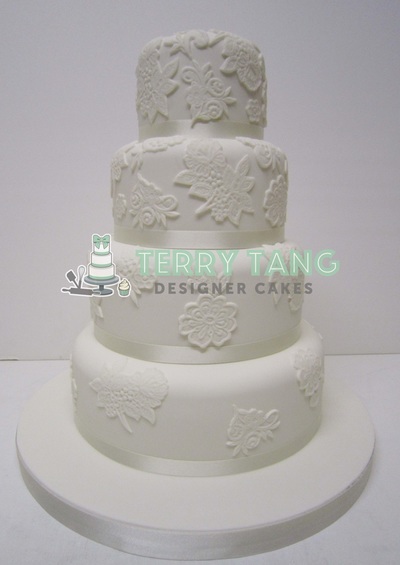 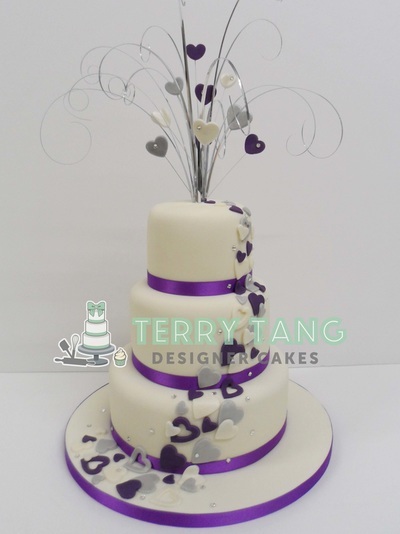 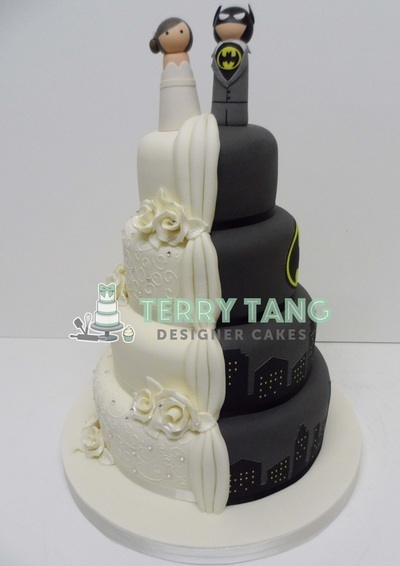 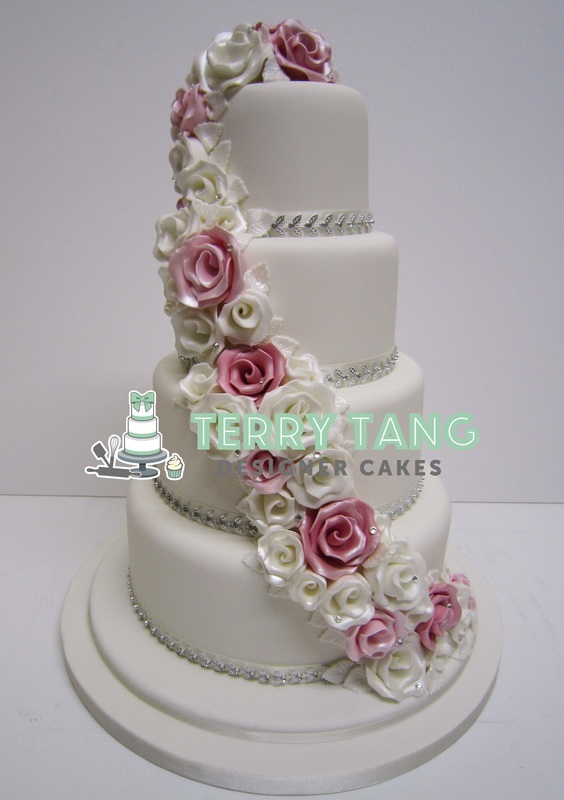 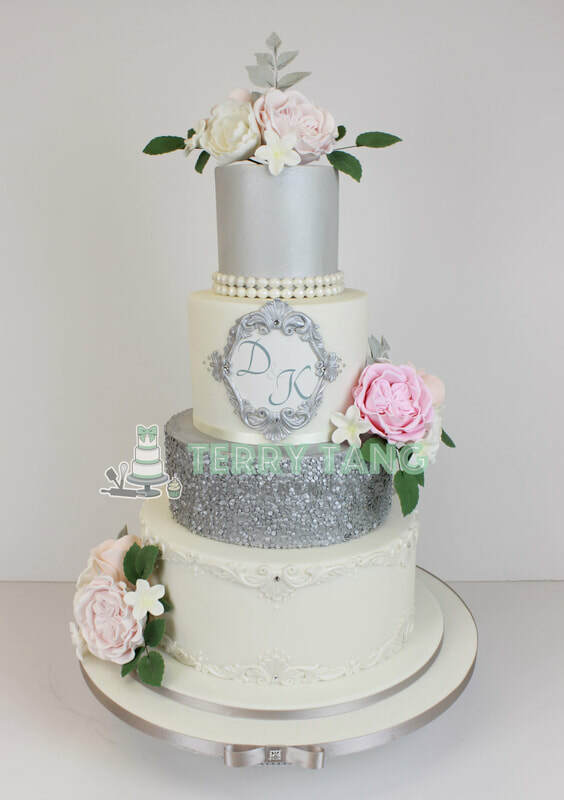 At Terry Tang Designer Cakes we cater for all budgets, big or small. 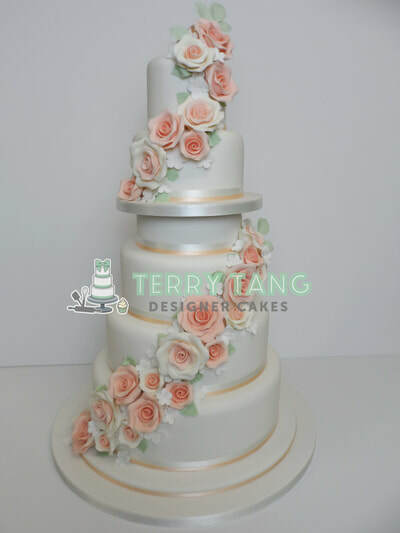 So for your special day don't settle for anything less than our freshly baked cakes and superior quality ingredients and skill. We offer a wide range of cupcakes to suit your wedding. Whether you are after flavoured cupcakes as a dessert, personalised cupcake favours or cupcake towers then look no further. Our freshly baked cupcakes start from £1 each and come in a wide variety of flavours. We offer a range of cupcake stands to buy or hire which we can advise you on - so you can choose the size you want and personalize the detail to match your celebration.